VOOFA is a pioneer in building result driven marketing systems. For over a decade, we have helped thousands of businesses to monetize and grow. We like straight talks and we believe in transparency. This is the reason why we have built a marketing planner where you can see exactly how much a Web design, Seo, Social Media, Google Analytics, AdWords, Live Chat, Language Translator, Forms, Branding, Business Card Design, Brochure etc. will cost. 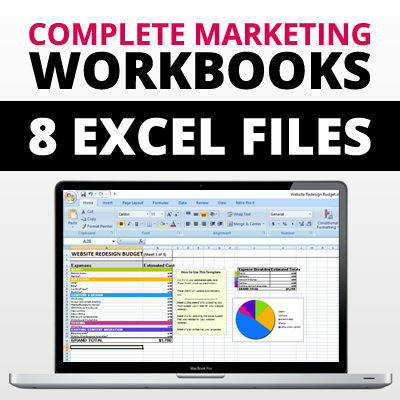 This is a great tool for you to keep control over your costs. You must use this tool if you are looking to purchase multiple services from us. Further you can add the selected services to your shopping cart and buy. We believe in simplifying your marketing initiatives. Try it now! Responsive Mobile Friendly Website Design. Fully integrated and PayPal button shopping cart. Property Management, MLS Rets and IDX integration. Website Maintenance & WordPress Hack Removal. Live Chat, Translator, Forms, Email Marketing. Organic Search Engine Optimization Services. Track your lead source and visitors on your website. Advertise with Google via Pay-Per-Click Ads. Logo Design, Flyer, Business Cards, Brochures and more. Photography Services & HD Video Marketing. Page setup and design. Engage with Automation. Advertise with Facebook via Pay-Per-Click Ads. VOOFA Marketing is a performance driven business solution that offer effective high end sales & marketing systems from self employed, small businesses to medium and large corporations. With over 25 years of combined experience in sales & marketing, we increase your business performance by implementing extensive behavioral marketing tactics that identifies opportunities in your niche. We understand your need to commercialize through web, tv, radio, social network and print media. We offer website design that can be integrated with eCommerce, Real Estate Property Manager, MLS Listings and with many other essential add-on features. Our websites are unique, stylish and functional. We build competitive mobile friendly websites that triggers sales and high response rate from your web visitors. Our knowledge and selling strategies is what makes your business grow faster. Check out our success stories. Build a powerful foundation for your website with Search Engine Optimization, Google Analytics, Webmaster and AdWords. Our Seo specialists use top of the line optimization technique to boost your web ranking on major search engines such as Google, Ask, Yahoo and Bing. Further each lead is tracked and followed by our online advertisements till your web visitor clicks and buy. We offer Monthly SEO, site verification & submission and more.  Your logo is the face or your company. We offer high quality branding designs with business cards, brochures, flyers, presentations, web graphics, folders, posters, banners and more. Our designs are fresh and unique with call to action which helps in maximizing sales conversions. We also offer HD quality presentation videos, commercial ads, business interview videos and fully animated green screen video production services. Videos will take your business to the next level. Reach out to your potential customers today. 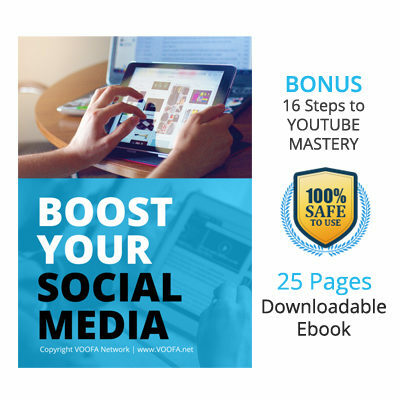 Get started with your Facebook, Twitter, Instagram, LinkedIn and YouTube Channel. We do complete branding for each social media network. Every network can be automated for posting according to your time and schedule. Get more clicks and sales via Facebook advertising. Increase your outreach to potential customers that are hungry for your products and services. Start a conversation online and engage your audience today! B2B means Business to Business where one business shares, sells and service other businesses. 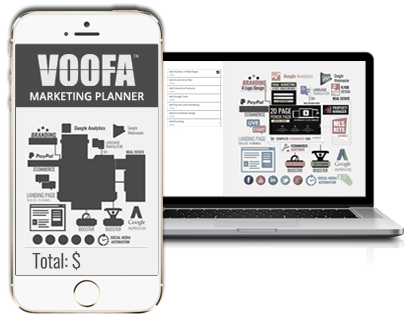 VOOFA is a pioneer in B2B marketing strategy planning. We have worked with a variety of B2B clients from credit card processing companies to industrial, logistics, insurance and accounting firms that strictly serve business clients. We have successfully designed their websites, payment gateways, data interface for employees and have run search engine and social media paid ads such as Google Ads and Facebook Ads thereby increasing their reach to potential new customers. B2C meaning Business to Consumer marketing requires extensive market research in order to promote the product and services. Our team of business analysts follow the latest market trends and find the appropriate niche to sell. Finding the right target audience via web sales funnels, Google Ads and social media is crucial in defining your business growth. From Logo Branding, Flyer Design to Video production and Lead Generation, we have handled 360 degree marketing for our B2C clients. Hiring VOOFA means creating loyal buying frenzy customers. Are you a start up? Are you running on a shoe string budget for marketing? you are in the right place. VOOFA is the largest marketing service wholesaler in North America and our prices are affordable. We know what it takes to establish and run a successful startup. Our business brainstorming session can help you understand the overall marketing strategy that caters exactly to your requirements to start getting immediate sales. We want you to start making good income in the first few months so that further marketing can be supported for more sales. We have worked with Accounting Firms, Doctors, Dentists, Orthodontics, Surgeons, Medical Clinics, Optometry Clinics, Family Lawyers, Criminal Lawyers, Cyber Lawyers, Corporate Lawyers, Project Managers, CFA’s, CMA’s, Realtors, Software Engineers, Electronics Engineers, Technicians, Life Coach, Industry Experts, Marketers and various other professionals. The marketing goal varies from profession to profession and since we have a wide variety of clientele, it is not difficult for us to plan and implement strategies that will increase their exposure in their industry. If you are a professional that is looking to get web design, seo, social media and video production, contact us. VOOFA proudly powers more than 2000 small businesses in North America. We have successfully marketed our clients products and services by driving free and paid web visitors traffic to their websites and social media channels. Our goal is always to make your small business stand out of the competition. Whether you are an entrepreneur, a small business owner or work from home parent / freelancer, we can help you get more sales by implementing performance based marketing. Get your logo, web design and social media designs today. The top healthy meal delivery companies in Toronto – GTA are our clients. You may have already noticed that the websites that display on the 1st page of Google for Healthy Meal Delivery are powered by VOOFA. We have built their websites, print marketing materials, social media and Google Ad campaigns and ofcourse the first page Google SEO. Also, we work with a number of restaurant franchises supporting their online and print digital planning. VOOFA offers real estate web design that include RETS, MLS, IDX and Property Management platform. We have built real estate web systems to capture sales information from buyers, sellers and investors. Whether you are a real estate brokerage, real estate investing firm, real estate agent (Realtor) or property management company, we can help you get more exposure online at an affordable cost. Our organic ranking (SEO) plans can further boost your Google ranking. We do full fledged branding, web design and social media content creation. Talk to us. We work with boxing, gym, MMA, hockey, soccer, baseball, shooting range and basketball sports clubs by developing and maintaining their web design, social media, email marketing, payment systems, forms and paid advertisements through Google and Facebook. The Fitness models and Instagram Celebrities who hired VOOFA have now achieved over 300k followers and we are proud to be part of their success. Industrial clients have very specific requirements in terms of their marketing as most of them have defined targeted niche and already established clientele. We have the experience of working with industrial manufacturers, food & beverage manufacturers and industrial service providers. From project managers, product developers, business analysts, researchers (R&D) to the top CEO’s, we have successfully implemented effective strategies to enhance their business performance. We have worked with international NGO’s, Charities, Non for Profit organisations including kids education charity, churches, infant caring centers, preschools and government projects. We offer preferred rates to non profit organizations. Our services include web design, organic seo, logo design, brochure design, flyers, paid Google Ads, Facebook Ads, email newsletter marketing and list building. We have also promoted them via Video Marketing on YouTube. 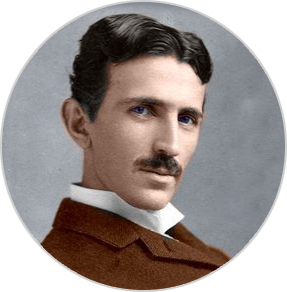 VOOFA has the best R&D (Research and Development) team that work in the information technology sector. There are many IT companies that use our marketing and survey research services. Our clients include Telecom companies, Apps Developer, Digital Marketing Agencies that white label our services, Software companies, BPO’s – Call Centers, Data management firms, Cloud Hosting, Sound and Podcast Engineers, Web, Device and Home Security Companies, Video Game Developers and other non IT technology companies. We have worked with TV Hosts, Radio Jockeys (RJ’s), Television Anchors, News Journalists, Movie Celebrities, Sportsmen and many other eminent personalities in the entertainment industry. Whether you are just starting off your career in the entertainment field or you are already established are looking for someone to further promote and handle your media buying and marketing, talk to us. We have built websites that helps you stay in touch with your audience and fans and promote you to gain more followers via social media marketing and Search Engine Optimization. We had the pleasure of working with some of the top construction companies in Canada and the U.S. From condo developers, home builders to plaza builders and developers, we have successfully delivered functional responsive mobile web designs that have picture galleries, forms, maps, social media content, videos, branding including logo design, business cards, flyers, brochures, posters, banners and document designs such as letterheads, envelopes, contracts and invoices. We can help you build your buyers, vendors and sellers lists along with free web traffic. 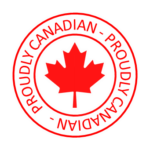 We have over 500 clients that specifically are related to the Canadian Renovation industry. If you are handyman, home and office renovator or a renovation company, we can help you in getting new customers. We have worked with companies that deal in residential and commercial renovation of bedrooms, bathrooms, kitchen, retail, office space, painting, epoxy flooring, paving, hardwood flooring, concrete finishing, wrought iron works, waterproofing and windows & doors. Your website comes with picture gallery, social media, SEO, videos and email marketing. Our clients in the transportation industry varies from domestic trucking companies to commercial transportation firms across the borders. Transportation industry runs on time and delivery systems where their local and international clients appreciate the good service and a great presentation via web design, twitter and facebook. Paid advertising via Google Ads is a major driving force behind getting new customer inquiries that can be converted in paying clients. We work with logistics companies that deal with trucking, transportation of goods, long haul, truck repair, truck parts dealers, container destuffing, cross docking and commercial moving companies. 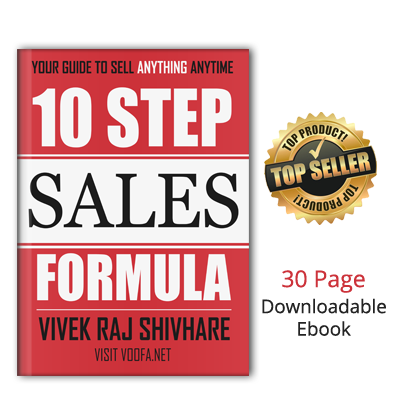 At VOOFA, we build Sales & Marketing SYSTEMS! We make sure that your business is effectively systemized to produce maximum results. Whether it is the market research, product launch, kickstarting new ventures, sales strategy or marketing plan – Our goal is to give you result oriented strategies, training and online systems that will trigger faster growth. We provide you with comprehensive tools to reach out to your potential customers, track & engage and ultimately convert them into paying clients. Powerful elegant web design services. Simply select the web design plan based on your requirements for the number of pages and features and further add optional features like eCommerce, Real Estate IDX, MLS, Property Management or other great features such as LIVE Chat, Language Translator, Web Forms, Social Media Box, Video Gallery, Picture Gallery, Podcast, Landing Page, Email Marketing and List Building. Add LIVE Chat, Forms & Language App etc. If you want your existing website or your newly built site to rank on first page of Google, Yahoo and Bing, you must follow the 2 step seo process. Begin Organic Search Engine Optimization by first “Fixing” your web seo, which means making it compatible for search engines following the Search Algorithm Protocol and then get on to the monthly maintenance plan to keep optimizing your website to crawl towards the first page of search engine index. 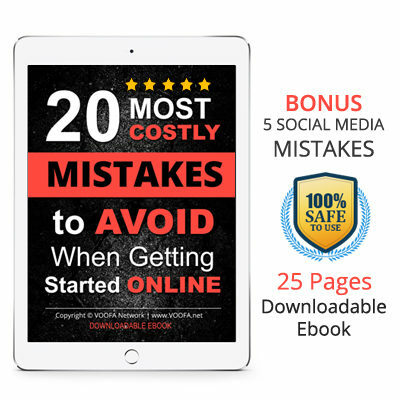 When you think of social media for business, you are technically looking at getting your social media business pages and personal profile designed by an expert graphic designer. We can help you with designing your Facebook, Twitter, Instagram, LinkedIn, and YouTube Channel. From Cover Designs, information upload, call to action phone number, email, web url, social media url’s, maps to pictures of your business such as product pictures, office and team images. Next, if you want to drive traffic and get sales, we can help you design and manage your Facebook Ad Campaigns. You can easily drive qualified traffic to your website with Facebook Ads. The more educated you are, the better decisions you will make for your business. WE LOVE WHAT WE DO & PEOPLE LOVE WHAT WE DO! VOOFA | Virtual Organization Of America, is a pioneer in business consulting, coaching and hands on training. We have launched successful businesses, marketing campaigns, and have shared our wealth of knowledge by coaching business owners on sales and marketing. Understanding sales channels and incorporating effective marketing in any business has always been our core competency. If you are interested to get started with your sales and marketing, then you are in the right place. Our experts will work with you to implement the right strategy that produces results. We invite you to join us and learn the most powerful strategies to gain more customers! VOOFA – Toronto Web Design Seo Company. Mississauga E Commerce Mobile Web Developer. Best Logo Branding, Flyer, Brochure, Business Card Graphic Design. Create a Website – WordPress Website Builder. Top Web Agency in North York. Social Media Marketing Prices. Web Maintenance, SEM, Hack Removal, Custom Development in Etobicoke. Affordable Prices for internet marketing services such as Website Design, Print Graphi Design and Branding, Social Media Page Design & Setup and Search Engine Optimization. WordPress plugins for Real Estate, Ecommerce Shopping Cart, Online Radio Station Installation, YouTube Integration and Podcast publishing. We can help you track your website performance and customer footprints using Google apps – Google Analytics, Webmaster and Console. Get instant traffic with Google AdWords Pay Per Click and Facebook Advertising. We offer services in North America including countries like United States (U.S) and Canadian cities especially in Toronto, Mississauga, Etobicoke, Markham, Woodbridge, Newmarket, Burlington, Hamilton, St. Catharines, Niagara, Ancaster, Niagara on the Lake, Kitchener, Waterloo, Grimsby, Brantford, Stoney Creek, Oakville, Brampton, Scarborough, Vaughan, North York, Richmond Hill, Pickering, Whitby and Ajax. Contact us today! Our business model has been very effective because of our experienced expert virtual assistants that are available to work with us 24×5. It is our virtual assistant team’s dedication that has accelerated our growth and efficiency to deliver projects under defined timelines. 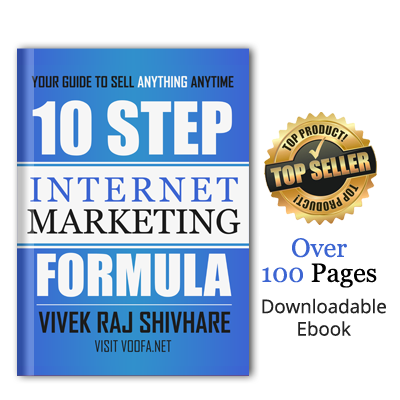 With 20+ virtual assistants we have been ranked among the top internet marketing company in North America. Over the years we have constantly done market research on the trends that will define the future of marketing and each week we bring the latest news, blog, training and updates on sales strategy, marketing tactics, business and technology for you. VOOFA is 100% Canadian Owned & Operated. We are proud to support the Canadian economy by hiring innovative thinkers and creative talents in Canada. VOOFA is managed and directed by a team of internet marketing and sales experts who have combined their experiences, knowledge and understanding to meet the demands of ever changing Canadian business environment. VOOFA has been featured on SiriusXM Radio, CanadaTalks 167, iTunes Podcast, Spotify and Ontario Network Of Entrepreneurs. 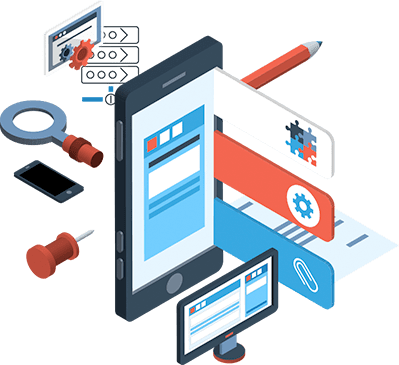 Toronto web design services offer affordable website development, social media marketing and search engine optimization (SEO) for individuals and businesses in Ontario, Canada. VOOFA is the most trusted brands in the marketing sector that has consistently built marketing systems for businesses to grow and get sales. 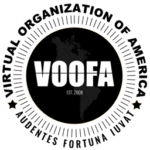 From web design, social media, seo, video production to public relations, sales & marketing training, VOOFA is the biggest marketing wholesaler in North America. Best internet marketing experts in Toronto, Ontario. Work with the top Award winning web agency VOOFA Marketing. Our prices are cheap and we do not compromise on the quality of our services. Fastest delivery timeline. Our Clients Are Located Across Canada & the United States.